A Fit 4 Two® Franchisee is an owner/operator of a Fit 4 Two® business in her community. 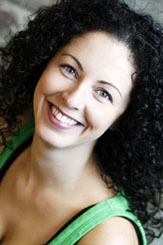 She takes care of the day-to-day business operations and teaches at least 3 Fit 4 Two® classes each week. The rest of the classes are taught be her team of certified intructors. Our franchises are available for populations between 100,000 and 300,000. This opportunity suits women who want to run their own business and work 20-30 hours/week. To receive a Fit 4 Two® Franchise Information Package, please send an email outlining why you would be a great addition to our team to franchise@fit4two.ca Be sure to let us know which community you are interested in.